I am that person in the grocery store taking random pictures with my phone. This time I was minding my own business picking up groceries for faux Thanksgiving and came across this oddity on an endcap. 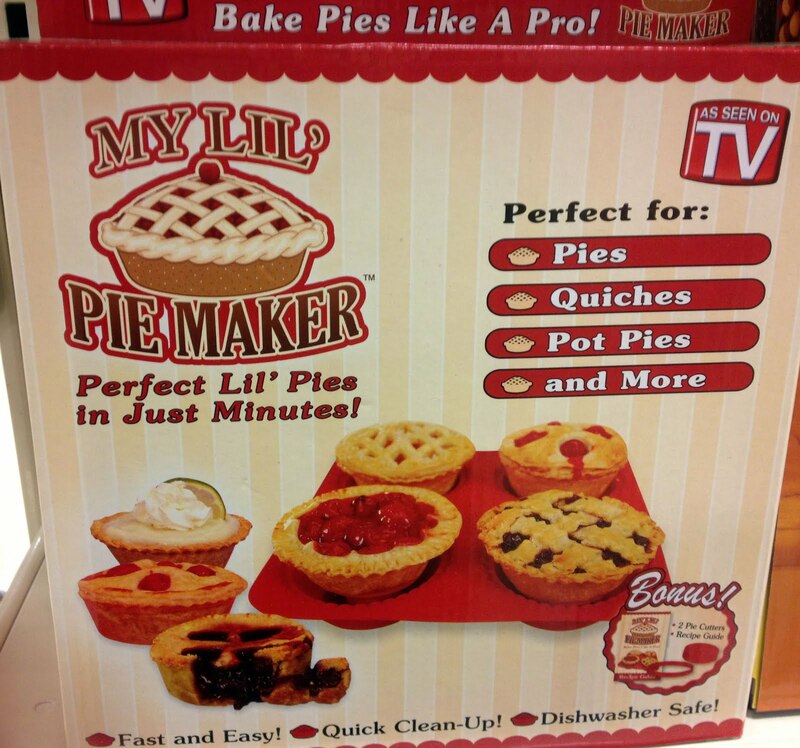 My Lil' Pie Maker. Oh my. I found this commercial that illuminates just why one needs what appears to be a large silicone cupcake mold and a cookie cutter to make the mini pies of your dreams. Making pies the old fashioned way is for chumps!